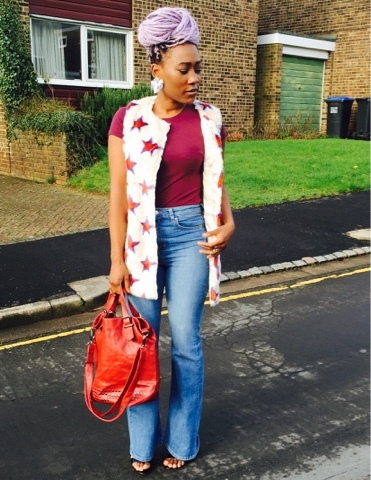 Asos faux fur gilet / 70s look. Been looking at this gilet jacket for a while now and now that it is on sale I decided to get it. 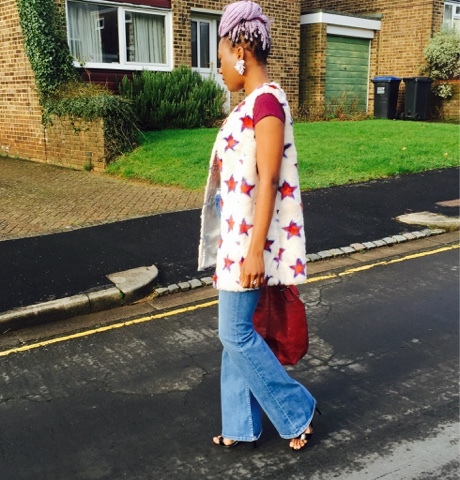 I'm in love with the 70s look and pairing this gilet with a wide leg jeans was going to give me that look. 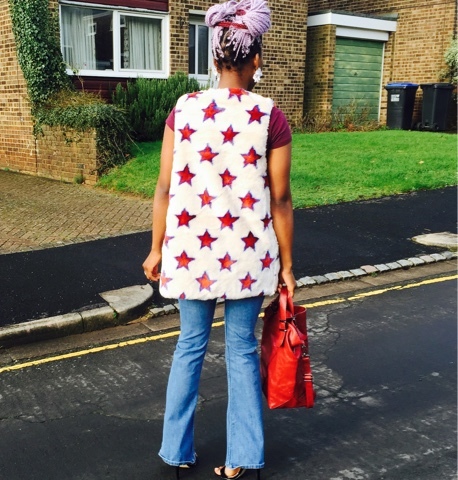 I got the jeans from H&m it was on sale £7 and paired it with black heels a burgundy top and a red bag to make the gilet stand out.